Couple of years back, Nokia, the once dominant king of the hill never thought it could be dethroned by then fledgling Samsung and a brand new player in the cellular market – Apple. However, all that changed quickly when the smartphone market was hit with a barrage of iOS and Android powered devices that featured multicore processors, multi-touch HD screens and cutting edge software that allowed users to connect to the internet with blazing fast 3G networks. After dominating the cellular industry for more than a decade it was time for the Finnish telecom giant to either bite the dust or rethink its strategy. Fortunately the fledgling company decided to do the latter. After a string of unsuccessful phones and bad policies that nearly put them out of business, Nokia decided to form a strategic partnership with software powerhouse Microsoft in an attempt to completely overhaul mobile computing experience for their loyal customers. Microsoft's slick new tiled based operating system titled Windows Phone 8 has now found its way onto the critically acclaimed Lumia lineup of smartphones. Regardless of how intuitive the software is or how efficient the hardware is the first thing consumers want is a slick design that stands out and is instantly noticeable. Fortunately, as compared to its premium 920 counterpart, the 720 features a slimmer waistline. The welcome weight shed enhances the handsets sturdy design all the while reducing its weight to128 grams. The polycarbonate body is similar to the one found on the Lumia 920 but due to a slimmer design looks cooler on the 720. When it comes to design and build quality this phone is definitely a head turner, one you won't mind being seen with. 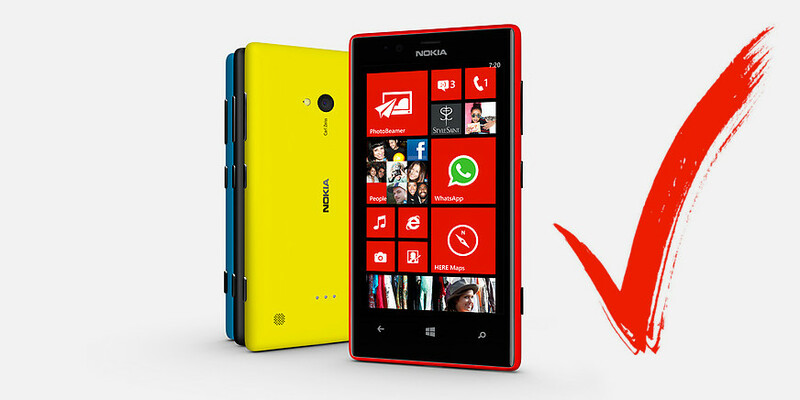 Equipped with a 4.3” multi-touch screen; the Lumia 720 comes with ClearBlack IPS LCD of WVGA resolution. This might seem a little odd especially when all rival phones boast of a 1080p screen. However, Windows Phone 8 does a great job of hiding this relatively low pixel density which stands at 217ppi. The display features the newest Corning Gorilla Glass 2 technology to protect against scratches and enables a flawless viewing experience for the user. Armed with a 1 GHz dual-core processor which works seamlessly with the Windows Phone 8 operating system, the Lumia 720 offers a smooth and snappy browsing experience for its users. The phone features an internal storage of 8 GB which is bit of a disappointment but can accommodate several size hungry apps including Nokia spy software. The inclusion of a microSD slot, however, more than makes up for this shortcoming and can increase the total available storage to a staggering 64 GB. Faced with stiff competition from the likes of Apple and Samsung; the Lumia 720 maybe a midrange device, but with Windows Phone 8 powering its core, the smartphone is fully capable of delivering a stellar user experience. With additional features like wireless charging, fancy flip covers for personalization and a 6.1 megapixel camera featuring Carl Zeiss optics this particular smartphone is sure to develop a loyal following and become a fan favorite.